The mottled speckling makes these feathers very useful for nymph collars, legs, wing cases, or wings. Can be used for larger soft hackle patterns. 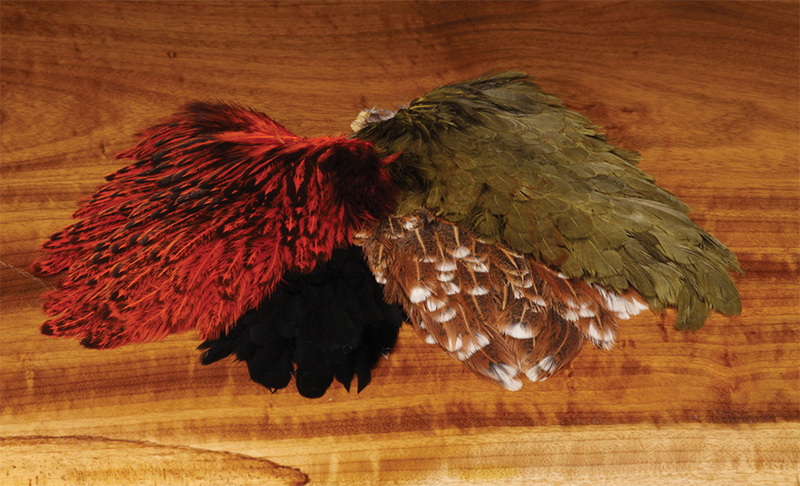 Dyed to popular of colors of black, Olive, Crawfish Orange and Prince Nymph Brown. The Naturals are a mottled brown that can vary in darkness.